We designed an entire line for the production of pizza in the classic Italian tradition. 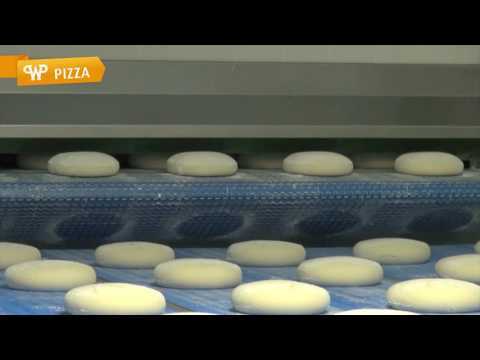 In the production process we thus achieve maximum quality with extended dough resting times, in particular for dough piece proofing. Gentle handling of the dough during dividing and round-moulding as well as the careful shaping of the pizza crusts contribute to the premium taste of the pizzas, just as the optional baking on stone. Do you have a particular product in mind, or do you require a different hourly output, or do you simply have specific ideas and expectations? Talk to us about it. I would like to receive news about technical advancements, products and activities of WP BAKERYGROUP on a regular basis. Let’s bring your requirements and our expertise together.